memorial weekend was the mark for my 3rd 1/2 marathon & my 3rd disney race. you know, every race i run & end up loving. but after every race i run, i say i'm never running again. apparently i never actually stick to that, i even said it after this last race. & then later that night i committed to yet another 1/2 marathon (1st one NOT at a disney park). going into the disneyland 1/2 marathon, i thought the route would be just like the tinkerbell 1/2, i sort of thought, why would they change it when they already had a perfectly good route? well, they did & i loved it. we began running through disneyland, into california adeventure & through car's land all before we made our way through orange county. while running through the city we ran along a dirt path, on a road lined up with hot-rod cars & people cheering us on & through angels stadium. it was all really, really fun. this race was a family affair. my all-star running sister kelly ran & so did my brother russell & sister-in-law kristen. even though they were running too, this was my 2nd race actually running by myself. they're all much better runners than i am, so they started before me. but i still had a lot of fun at the race (after getting over the fact that i had to run 13.1 miles again). i'm a big people watcher & disney races are perfect for this because most of the people dress up in costumes. i love seeing how creative everyone is & what costumes they come up with. my sister dressed up as a fireside girl from phineas & ferb with a couple of her friends, my brother & sister-in-law were starwars characters & i was the little mermaid. this race was my best race i've ran. while i'm still a beginner, & i didn't actually care about my time, i did ran 10 minutes faster than i did at the princess 1/2, where i had ran 10 minutes faster than i did at the tinkerbell 1/2. so i'll admit, i'm pretty impressed/proud of myself for cutting off a total of 20 minutes off my original race time (it was very, very bad race time). & now that i have fully committed to the halloween 1/2 marathon with my friend shayla, i've decided to actually train for it. i'm now kiiind of getting into seeing how fast i can run one. 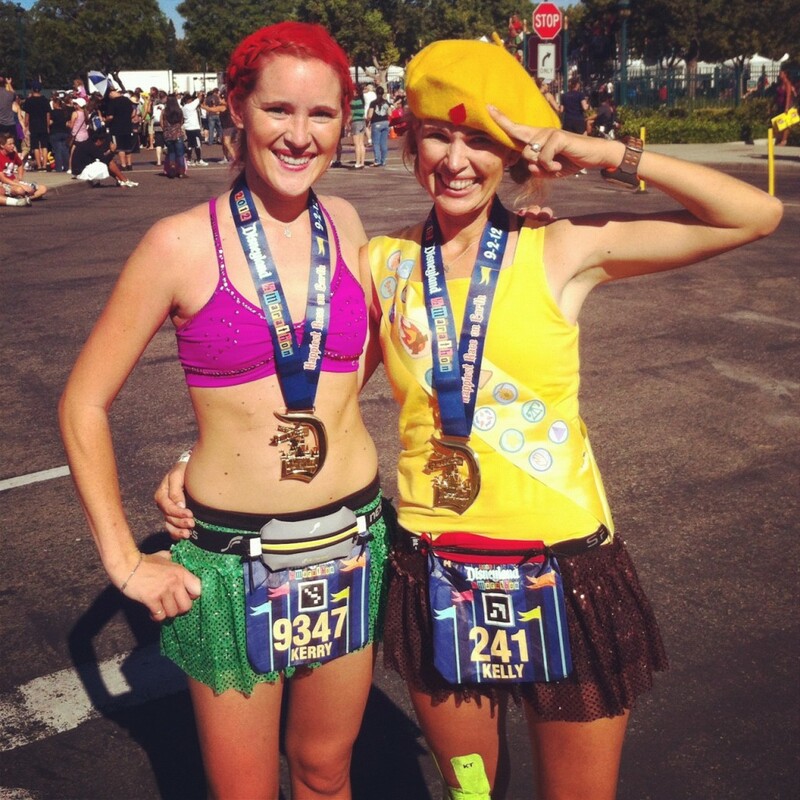 plus, i just love any race i can dress up for, so a halloween race sounds perfect to me!